This is our best Digital wireless System - as with all our wireless kits it offers 720P HD recording for channels (with the option to add another two channels at VGA resolution). 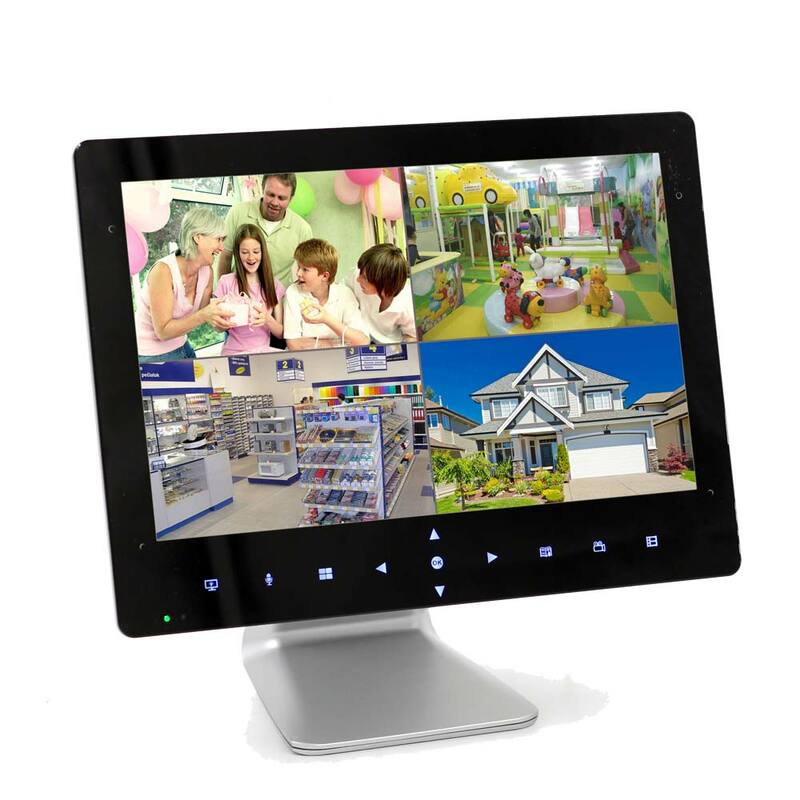 This system comes with a 9" Monitor with touch operation buttons (please not that does not mean it is "touch screen") and records directly to an SD Card (max 128Gb - not included). 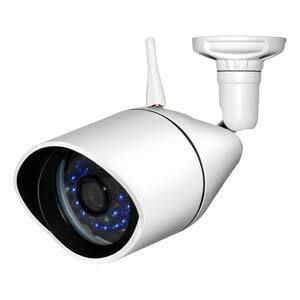 The system can record 24 hours a day or you can set it up to record when ever it detect motion. On top of this the cameras can be used indoors or outdoors, and have built in night vision up to 10 - 15 Metres (may vary with environment). They also have a built in mic and speaker, so not only can you listen to whats going on - you can speak through the camera. As with all 2.4Ghz Digital Wireless products, the transmission distance is up to a maximum of 150 Metres if clear line of sight - however you should be aware that this is dramatically reduced with each wall / barrier that is in the line of sight, and of course the thicker the wall / barrier the larger the reduction in transmission distance. 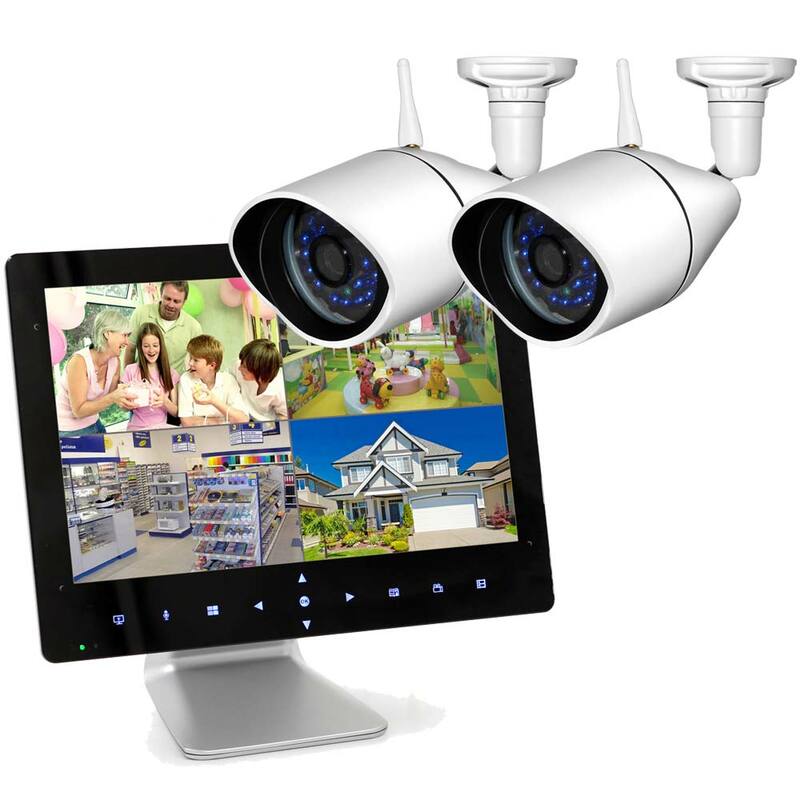 You can also connect the Monitor to your internet and view the cameras remotely on your smart phone (Android / iPhone). If all you need is a one or two camera high definition monitoring system this is the perfect solution. Finally - please be aware the video signal is wireless but the cameras still need to be connected to a power source at all times to work. By default this system comes with 2 cameras - but you can add more using the options at the top of this page.